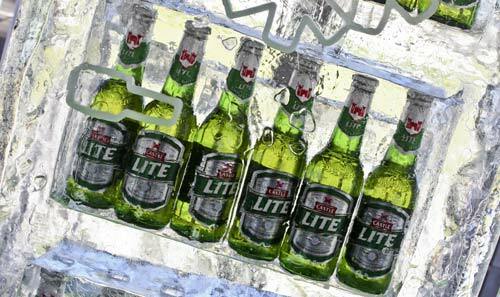 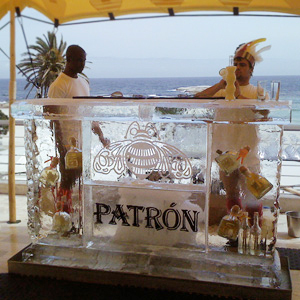 Ice Art was once again at the S.A Open at Pearl Valley for the 2010 competition. 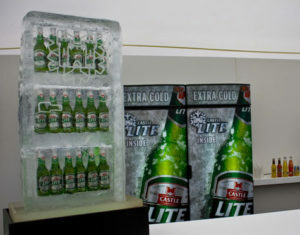 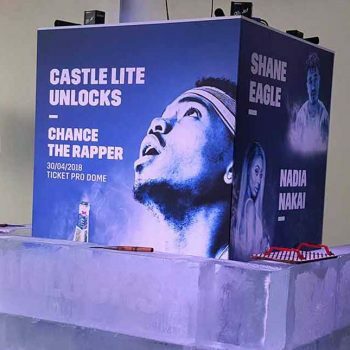 Castle Lights Ice Ice Baby theme ties in perfectly with our ice sculpture product and as a result the brand further leveraged its campaign by commissioning us to create a batch of ice fridges which held the Castle Light product form display, ice drinks chests that held 50 bottles each, and some 4m Ice Golf putt-putt courses were produced for the VIP before function, championship tent and Castle Light tent. 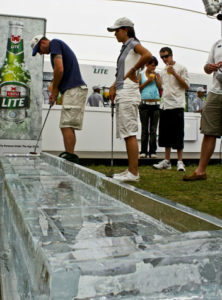 The ice golf was a hit as always and if you could get three “hole in ones”, there were some fantastic prizes to be won. 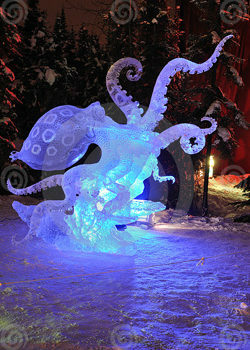 The ice golf course was made out the Ice Art factory and brought to site to be installed. 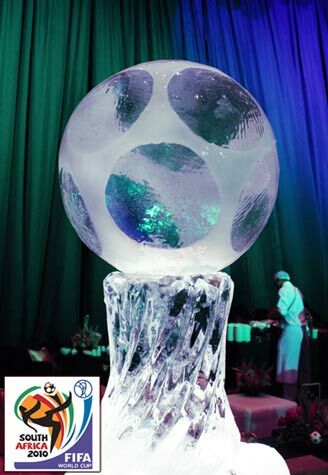 After leveling the playing field to make sure the ball did not roll with gravity we installed the slabs of ice. 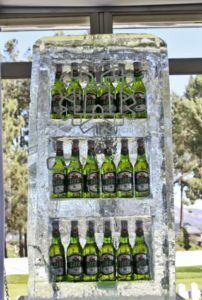 Once all aligned, the ice sculpture was ironed to be a totally flat playing surface, using a stainless steel sheet – and then the ice rails which made up the sides were added. 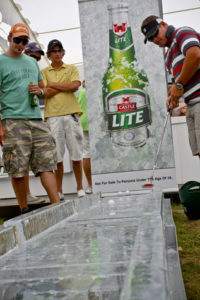 The queue to chance your luck on the course was 50 m long at one stage!